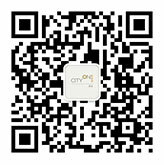 CityOn’s members show membership card at Maky pop-up store and scan the QR code could enjoy free French mooncake. Old members could taste flowing egg mooncake after showing the e-card at store. CityOn will break through the walls of different media and present a mysterious world costing two months to build. Rich sensory experience will swallow all of you in a pink world. Pepsi store will show up at CityOn and gather the most fashionable of Xi’an. At here, customers will make a unique T-shirt to create the trend of Xi’an’s autumn.